I hope all 120 get blown up by Yemenis so that you can sell them twice as many vehicles and make even more sweet cash. Haha, sorry won't happen. At least I doubt Saudis are that incompetent and careless. MATV's at probably triple the price, are making nice scraps for Yemeni scrapyards. So consider yourself lucky. But I'd also like to know it's performance in actual combat tbh. The MATV got outperformed by both the Didgori and the Lenco Bearcat btw. Today the first batch got loaded. 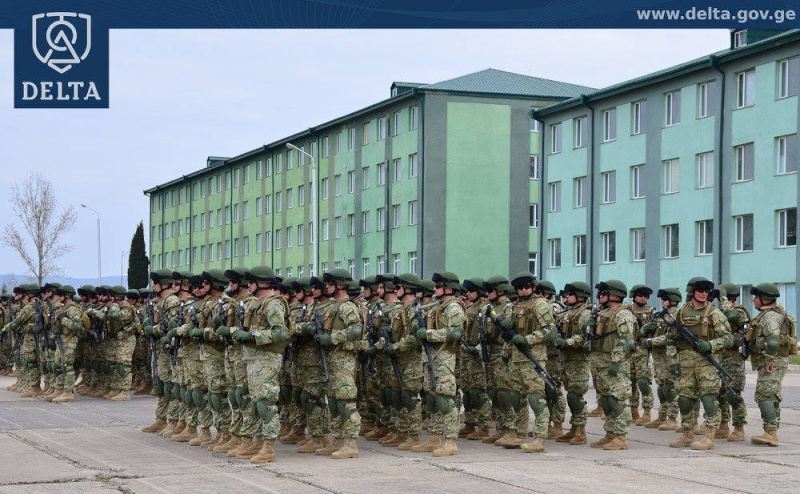 First Georgian units to be fully equipped with Georgian gear ( ballistic vests, ballistic helmets etc ) will start with the next rotation of Peacekeeping battalions ( 52nd battalion ) in Afghanistan on March 25th. Several export contracts are also in progress. No information on which countries gonna be supplied. 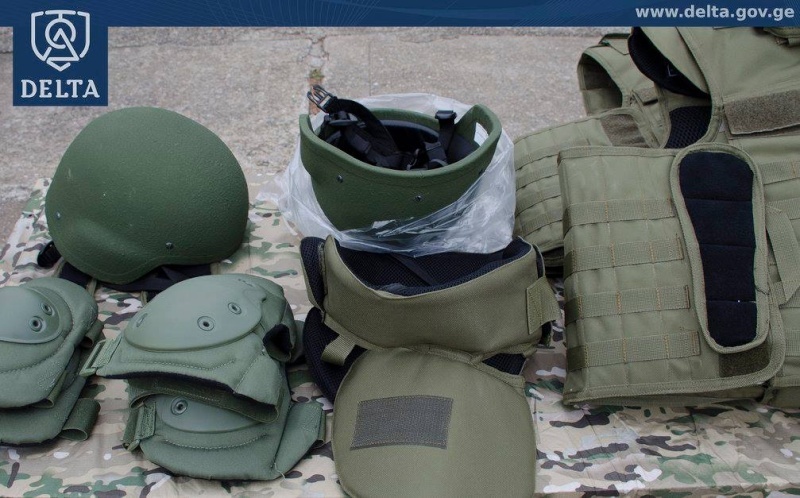 DELTA has recently been given green light by the military and the gov to start mass production of newly developed military vests, helmets and other accessories for the armed forces as well as law enforcement agencies. Experience from first field deployment ( Central African Republic ) was used to improve the products and make adjustments. 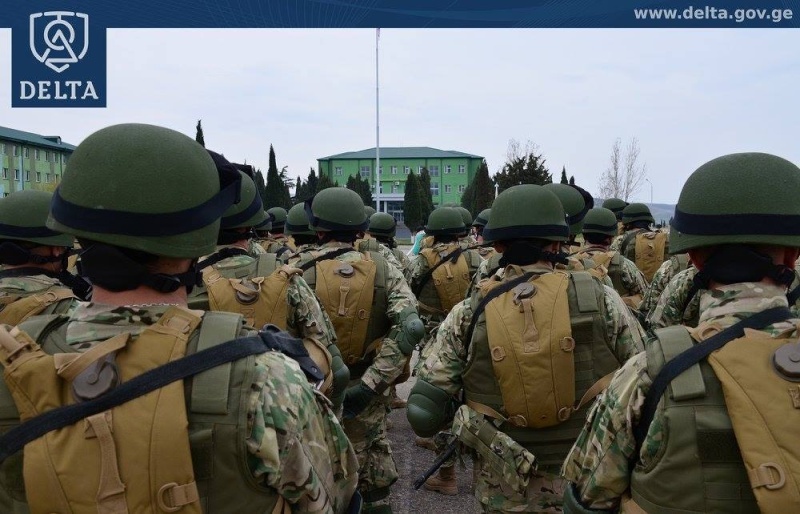 52nd battalion, first unit to wear the new type IV bulletproof vests and type III-A bulletproof helmets, which will be supplied to every GAF battalion within the next few weeks and months. Looks like the GMM-120 gets a carrier vehicle. What is the tracked personal carrier on the right side called? Lazika...used to have a 23mm gun. Citing the Head of Georgia's Armed Forces General Staff, Vakhtang Kapanadze, Russian media has reported that Georgia will begin receiving air defense systems from France next year, in January 2017. Kapanadze noted that some components of the system may arrive earlier. and apparently Saudis also want some of the DRWS. A deal was made for approximatly USD 32 million. I wonder for what vehicle and the price suggests the quantity is gonna be high. Some photos of Delta's firearm display, nothing really new. apparently a new 9mm AR-15 conversion. Looks like it has some MP-5 features. underbarrel grenade launchers and hand mortar. Analysts state that compared to Nona-S, it provides less protection/durability but better mobility especialy as of speed. MOD will consider buying it if ongoing tests are successful. In connection with this, the Lazika and GMM are considered being deployed on the export market suggesting development of the Lazika hasn't been cancelled. Personaly I would have liked to see the GMM-120 mounted on the Lazika in the first place because of better protection simply. "Georgia’s State Military Scientific-Technical Center Delta has developed new GMM-120 mortar system based on a modified truck chassis , reported military-informant.com. "The GMM-120 mortar system is a new generation mortar, designed for a rapid rate of fire. GMM-120 developing to meet the potential requirements of the Georgia’s Army as well as export markets. For it’s self-protection, the GMM-120 is armed with a 12.7mm machine gun mounted at the front of the roof crew cabin." This is allready a bit late, but still very interesting. 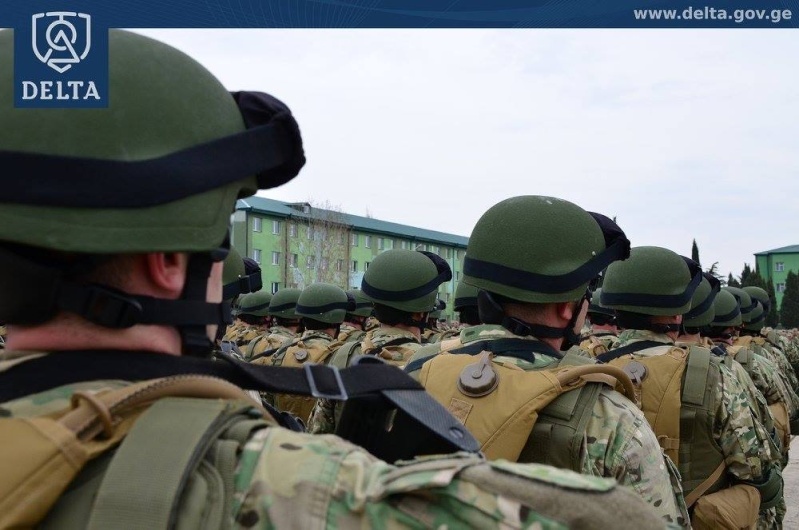 Testing is about to begin on a new military-grade bulletproof vest designed by Georgian students. 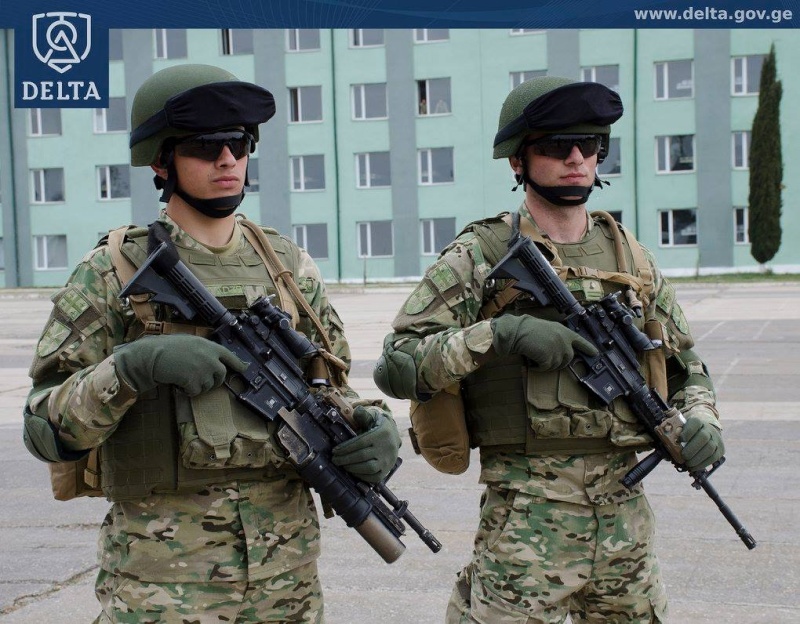 If successful, Georgia's State Military Scientific Centre Delta could begin producing the military protection equipment and roll out the products to Georgian soldiers serving locally and abroad. Delta experts welcomed the young inventors from a public school in western Georgia to the scientific centre earlier this week. After learning more about the uniquely designed bulletproof vest, Delta agreed to manufacture a test version of the vest for evaluation. Manager of the Inventors Club of the Khoni Public School No.2 Mikheil Koshitadze spoke to Maestro TV about the invention. He told hosts of the Business Morning program about how his team of students had developed a personal armoured vest that prevented structural deformation upon bullet impact. The young inventors said their invention featured usual bulletproof vest protection from bullets but it further safeguarded its wearer from sustaining damage from the deformed vest after it was hit by a bullet. The team's innovative layer of cubes for the vest held air under pressure and was expected to absorb kinetic energy received by the vest upon bullet impact. Common armoured vests prevented bullet wounds but often the wearer was still injured after the vests typically deformed two to eight centimetres inwards. 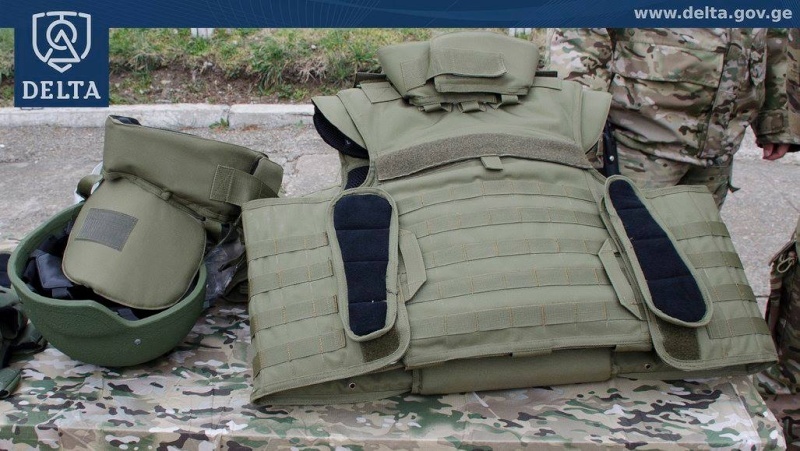 Koshitadze told the morning program the vest used same material as normal bulletproof armour and only differed in its construction, making its manufacturing easier. Delta will evaluate a test version of the vest before making a decision on whether to commission it for production. 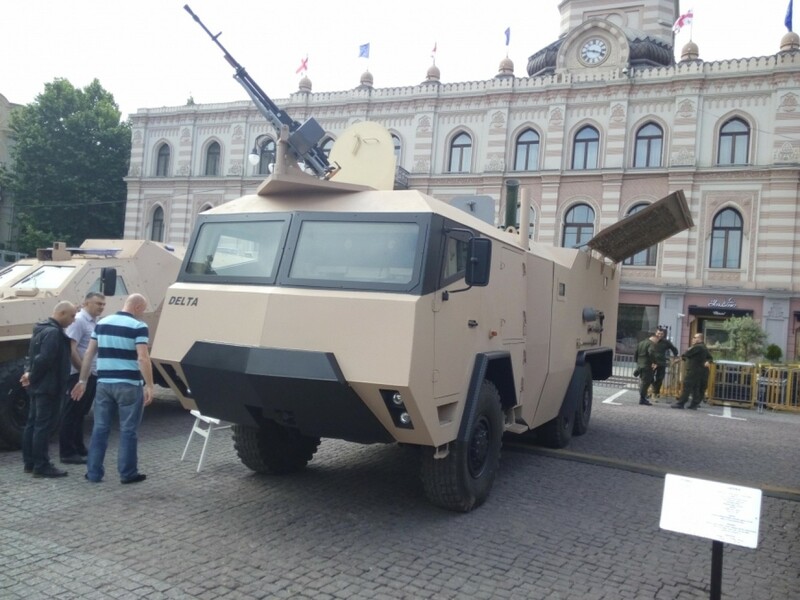 The Scientific Centre manufactured advanced defence and civilian equipment including unmanned aerial vehicles and military hardware for the Georgian Armed Forces. DELTA claims that their new "SMG-9" is far superior to it's classical counterpart MP-5 primarily due to a simplyfied, more efficient design and supposedly even beats it in ergonomics, also better price balance. They are currently interested in developing an analogue to the MPX. Potential use within the army special forces. TheGeorgian wrote: DELTA claims that their new "SMG-9" is far superior to it's classical counterpart MP-5 primarily due to a simplyfied, more efficient design and supposedly even beats it in ergonomics, also better price balance. They are currently interested in developing an analogue to the MPX. Potential use within the army special forces. It's a blowback RO635. How is it superior to the MP5. For reference the RO635 is the submachinegun variant of the AR-15 system. KoTeMoRe wrote: It's a blowback RO635. How is it superior to the MP5. For reference the RO635 is the submachinegun variant of the AR-15 system. Well it's what they've stated. I am no weapons expert but I see more similarities with the MPX - which they mention as well - than the RO635. Maybe it's just exaggeration to sell the product - maybe it in fact is an improvement over the MP5. Guess we have to wait for more details. The MPX system doesn't have a buffer tube (while the SMG-9 keeps it). It is clearly an RO635 with a proprietary mag from Glock19 (32rounds). This is a trend among people with AR-15 tooling. Wilson Combat/JM/DD/POE/JP Entreprise. I don't need to share my doubts. I've been on the right side of a JP Entreprise 9mm Carbine and here you can see such a weapon. Doesn't mean the SMG is bad, it's just fairly simple and the action is really not comparable with roller lock MP-5. I see, very interesting and yes you are right, it's simplyfied and uses Glock mags and looks very similar. I compared it with the MPX since it was mentioned as another project. Was never into any these conversions untill now. I would still want to wait for more information though and maybe test footage, because I do agree it's a bold statement, but they do keep to it. The biggest advantages of the "AR-9" are controls, bolt hold and balance (due to machined Aluminium). However, the system is blowback which is fairly nasty for suppressed fire and internal action. As I said, it's not better, it's just different. The MP-5 has flaws (mainly the charging handle that can be a PITA and sometimes lack of balance with after market rails). The vehicle takes some beating with RPG-29, PKM and hand grenades after it jumped one time too much. We don't know what exactly caused it, maybe it was overloaded or already damaged or that simple design flaw but at least the protection holds up to it's promises. It wasn't designed to withstand the RPG-29 and the Houtis havin a hard time trying to burn and destroy it while the LAV got one shotted. Still, that initial failure is bad, very bad and that's because it's jumping like a horse while carrying weight. Ofc the chassis will give in after a while. They need to either fix that or use a completly different base. Don't concern yourself too much over this. Since it's the Saudis who are operating these things we can all agree that vehicles are fine and that problem is with morons inside. Just make sure that production lines are warmed up because I have a feeling that Saudis will be ordering fresh batch pretty soon. Yeah them Houthis are killing while chilling. The Arab army with all it's technology doesn't seem to be a match at all. Not that I wish for it but I expect way more casualties on their side.